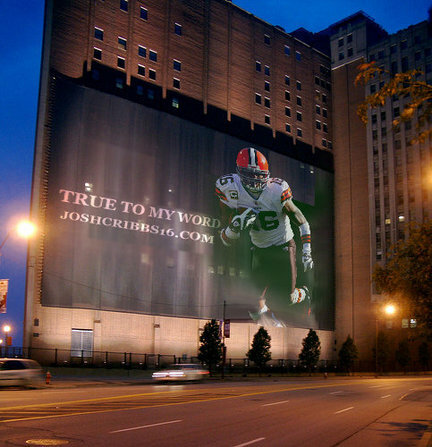 Josh Cribbs should no doubt have this billboard in downtown Cleveland. The Cleveland Brown’s star return man and wide receiver tweeted to his followers a proposed replacement to the “we are all witnesses” billboard that has been outside of Quicken Loans Arena almost since the arrival of “the King”, Lebron James. Nothing like capitalizing on the situation and using social media. Bravo Josh Cribbs….bravo.